Earlier this fall, the Women’s Archive and Research Center was renamed the Carey C. Shuart Women’s Archive and Research Collection and a new web page was launched. 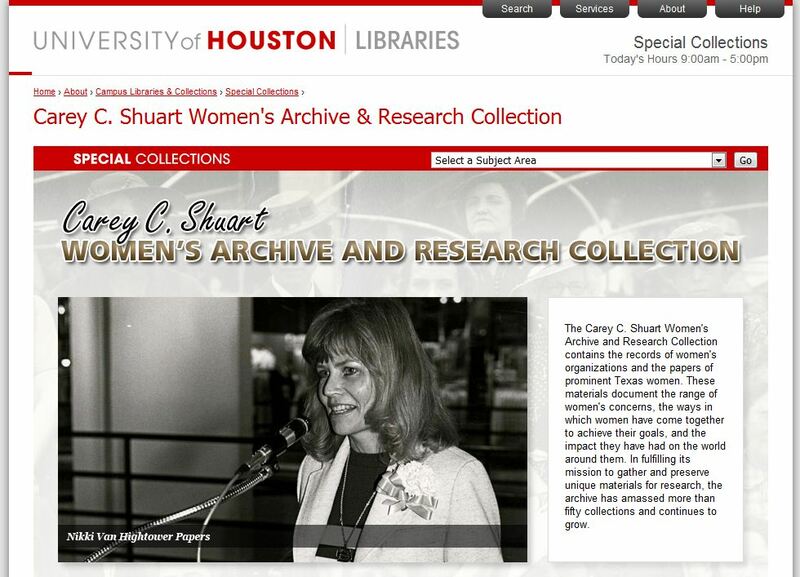 The Carey C. Shuart Women’s Archive and Research Collection contains the records of women’s organizations and the papers of prominent Texas women. These materials document the range of women’s concerns, the ways in which women have come together to achieve their goals, and the impact they have had on the world around them. In fulfilling its mission to gather and preserve unique materials for research, the archive has amassed more than fifty collections and continues to grow. From this fantastic new page, you can browse a list of all the digital collections featuring materials from the Women’s Archive and all the published finding aids for collections within the archive. 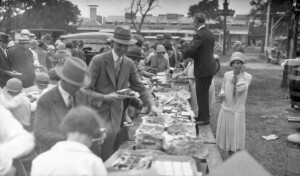 In this photo from the Harry Walker Photographs a large group of people is enjoying a meal outside. We hope you enjoy your Thanksgiving meal just as much! Special Collections will be closed Thursday, Nov. 24 through Sunday, Nov. 27 for the Thanksgiving holiday. We’ll resume our regular hours on Monday at 9 a.m. If you’re planning to visit us during November, please also make note of our holiday hours. The last Saturday the Reading Room will be open is Dec. 10. We will be closed Friday, Dec. 23 through Sunday, Dec. 31. We will open for our regular hours on Jan. 2, and will resume Saturday hours on Jan. 21. 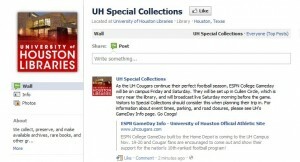 UH Special Collections has joined the world of Facebook. Become our fan and keep up with events and information! In collaboration with UH Digital Services, Special Collections has published a new digital collection featuring photographs from the Alonso S. Perales Papers. The photographs highlight aspects of the life and career of Perales, who was a one of the founders of the League of United Latin American Citizens (LULAC). Perales, a civil rights lawyer, diplomat, political leader, and soldier, was one of the most influential Mexican Americans of his time. 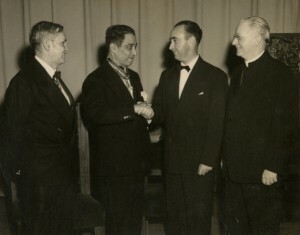 Perales, second from left, being awarded the Medal of Civil Merit from the Spanish government, granted by Generalissimo Francisco Franco, on March 20, 1952. Some of these photographs will be featured in an upcoming exhibit at M.D. Anderson Library, along with manuscripts, letters and documents, broadsides, books, and memorabilia from the Perales Papers. Among the topics to be covered in the exhibit are Perales’ early life and family, his political life and diplomatic service, and his lifelong crusade against discrimination against Mexican Americans. The exhibit, In Defense of My People: Alonso S. Perales and the Development of Mexican-American Public Intellectuals, will be on view from December 8, 2011 through February 29, 2012. On January 13, a conference sharing the name of the exhibit will feature scholarly presentations covering a variety of topics related to Perales and his work, including research on his activism and defense of Latinos, the impact of religion on Latinos, and the concept of race. Watch this blog for more information on the exhibit and the conference! The finding aid for the Beverly Lowry Papers is now back online after it was briefly unavailable while the collection was reorganized. The bulk of the Beverly Lowry Papers consists of drafts, preparatory materials, and proofs for three of the noted author’s novels: Come Back, Lolly Ray; Emma Blue; and Daddy’s Girl. The collection also contains a small amount of correspondence from Lowry’s agent and her editor. During the reorganization process, the papers, excluding the correspondence, were arranged in order of production for each of the three novels. Lowry began her writing career in Houston, and in 1976 became an associate professor of fiction writing at the University of Houston. 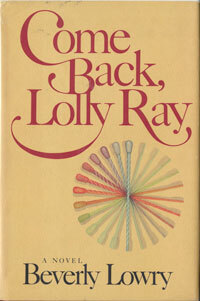 Her first novel, Come Back, Lolly Ray, was published in 1977. She contined to write novels throughout the 1970s and 1980s, and in the 1990s began publishing works of non-fiction. Lowry has won a number of fellowships and awards, including from the National Endowment of the Arts and Guggenheim Foundation. The Beverly Lowry Papers are available for research and can be viewed in the Special Collections Reading Room. To learn more about the contents of the Beverly Lowry Papers, take a look at the finding aid inventory.